Love Packages is a non-denominational, not-for-profit ministry that equips pastors, missionaries, evangelists, and teachers all over the world with free bibles and Christian literature. Everything we send is donated from individuals, ministries, and publishers in the U.S.
Our mission is simple: Keeping people out of hell. God spoke to our founder, Steve Schmidt, one day about “wasting” some Christian literature that was sitting around his home. When he wrote to a few pastors and evangelists overseas, asking if they could use English literature, the response was definitive. 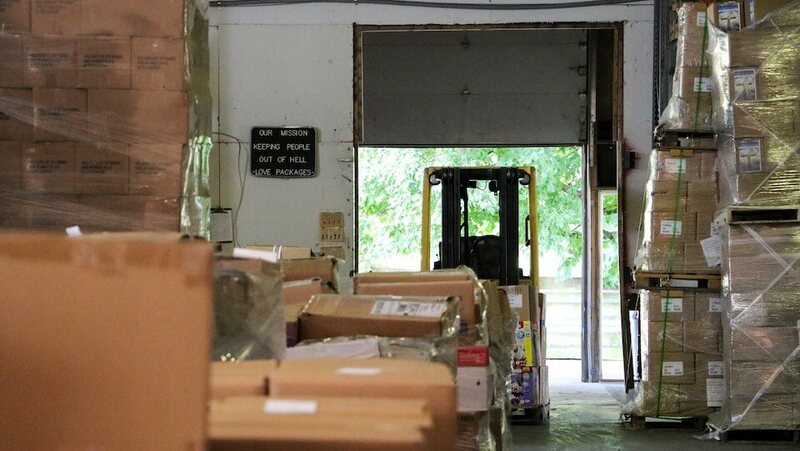 Over the past 40+ years, the ministry has grown and now we ship over 1000 tons of used, donated bibles and other Christian literature overseas every year. You can also learn more about the rest of the staff. Yes! Nations like Nigeria and Ghana have taught English in their schools for years. Additionally, 25% of the population of India speak and read English. See the FAQ page for more answers!